Thanks for reviewing WorkFromHomePRO. 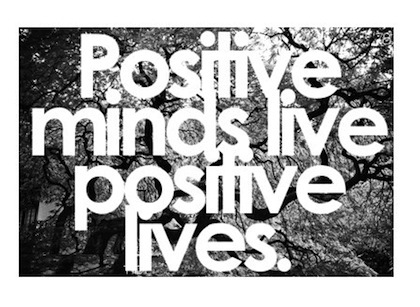 This post is for people who want to naturally attract more people by improving their positive mental attitude. Business is about building relationships base off a paradigm that was coined by expert Bob Burb “All things being equal,people will do business with,and refer business to, those people they know, like and trust.”Think about it, isn’t that how you are as a consumer? Other than what you can buy through your own business,isn’t it true that when you shop for a car,furniture, clothes, or anything else, if the price, service and all other determining factors are equal (or even close to equal), don’t you buy from-and refer others to-those salespeople you know, like and trust? Business is all about relationships. AND you probably refer others to them as well, with pleasure, don’t you ? :)When you make a clear, unequivocal decision that you are going to take complete control over your mind, eliminate the negative emotions and thoughts that may have held you back in the past and become a completely positive, person, you can actually bring about your own person transformation.Your physical diet has a lot to do with your levels of health and energy. If you eat clean, fresh,high-quality foods of all kinds and AVOID the foods that are bad for you, you will have more energy levels, you’ll be generally resistant to most diseases,sleep better, and feel healthier and happier. In the same way mental diets largely determines your character and your personailty and almost everything that happens in life.When you feed your mind with positive ideas, information, books, conversations, audio programs, and thoughts, you develop a more positive and effective personality. You’ll be more influential and persuasive, and you”ll enjoy greater confidence and self-esteem.Mental fitness is like physical fitness. You develop high levels of self-esteem and positive mental attitude (PMA) with training and practice. 1.Positive Self-Talk: Speak to yourself positive. CONTROL your inner dialog. Use affirmations such as “I like myself.” “I AM a great person” “I can do the impossible” “I am Responsible” “I feel great”. Use afformations such as “Why Do I like myself?” “Why I’m I so responsible?” “Why I’m I rich” “How did I get so many friends?” 95 percent of your emotions are determined by the way you talk to yourself as you go throughout your day. The sad fact is if you can’t deliberately and conciously talk to yourself in a positive and constructive way, you will, by default, think about things that will a make you unhappy. 2.Positive Visualization- The power of vision is incredible. As you “SEE” yourself on the inside, you will “BE” on the outside. Create a clear, exciting picture of your goal and your ideal life, and replay the picture in your mind over and over. Figure out the benefit of the life you have in your mind, then figure out the benefit of the benefit. 3.Surround Yourself with Positive People- You are the sum total sum total of the 5 people with whom you live, work, and associate with. These people will have an impact on your emotions and your success than any other factor. Decide TODAY to associate with WINNERS, MOVERS and SHAKERS, with people who are happy and positive, who are going somewhere with their lives, AVOID negative people at ALL cost. 4.Positive MENTAL Food- Just as your body is healthy to the degree to which you eat healthy food and work out, your mind is healthy to the degree to which you feed it with ” Mental Protein” rather than “Mental Candy”. Read books,magazines,and articles that are educational,inspirational, or motivational. Feed your mind with information and ideas that are uplifting and that make you feel happy and more confident about yourself and your world. Feed your mind continually with positive messages that help you think and act better and make you more capable and competent in your field. 5.Positive training and development- Almost everyone in society start off with limited resources, sometimes with no money at all. All the people who are at the top today were once at the bottom, and sometimes they fell to the bottom several times. Lifelong learning and personal improvement is what takes you from rags to riches from poverty to affluence from under achievement to success and financial independence. When you dedicate yourself to learning and growing and becoming better and more effective in your thoughts and actions you take complete control of your life and increase the speed at which you move forward. 6.Positive Health Habit- Take care of your physical health. Make a decision TODAY that you are going to live to be eighty, ninety, or one hundred years old and still be dancing in the evenings. Eat excellent healthy and nutritious foods. An excellent diet will have an immediate, positive effect on your thoughts and feelings. Make a decision to get more exercise, at least two hundred minutes of motions per week,walking, running,swimming,bicycling or working out at a gym. Get ample rest and relaxation. You need to recharge your batteries on a regular basis. Some of the factors that predispose us to negative emotions of all kinds are poor health habits,fatigue, lack of exercise, and nonstop work. Seek balance in your life. 7.Positive Expectations-Having positive expectations is the most powerful techniques you can use to become a positive person and to ensure positive outcomes and better results in your life. Whatever you expect to come into your life will usually come if you have confidence when you think about it. Your expectations are your self-fulling prophesies. Seven Keys to a Positive Personality-What would it mean to your business if you could attract more people ? ← How much would an extra independent business owner or distributor be worth to your business this month?